The May 2 helicopter raid that led to the killing of Al Qaeda’s Osama Bin Laden also revealed a reduced-radar signature ‘stealth’ modification to the Sikorsky MH-60K Blackhawks used by the mission's crack Special-Ops team. 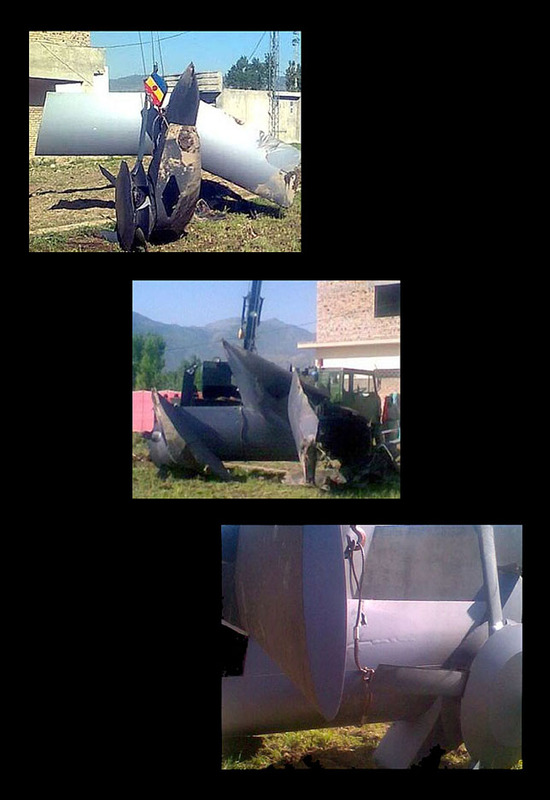 One of the helos crashed during the assault, and was blown up with explosives, but remains of the tail section survived for photographers to capture some teaser images. The shallow dish covers the radar-visible rotor head mechanism. The photos reveal mods to the standard MH-60K that could make for a very interesting kitbash. 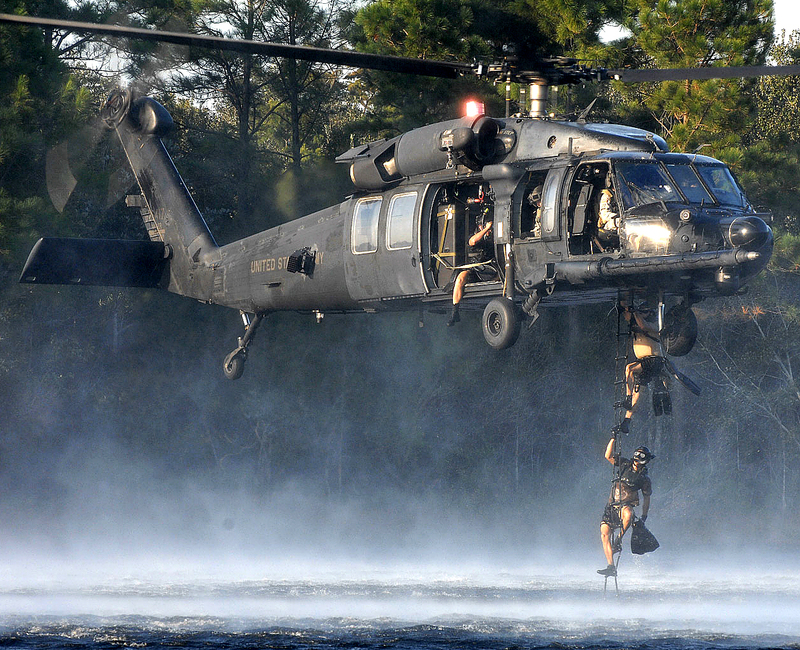 Changes include a pan-like tail-rotor shroud, five or possibly six tail-rotor blades, and a swept stabilator. The news images show just the damaged tail, so the rest of the helicopter’s appearance is guesswork, but it’s possible that the faceted treatment covers the whole fuselage, or at least the main rotor and engine covers. 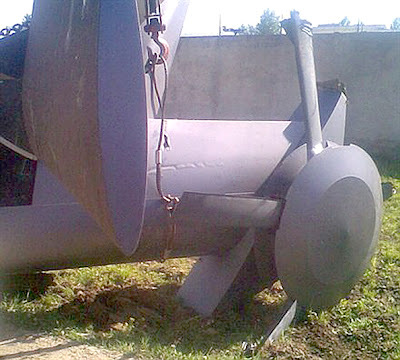 The horizontal stabilator (top pic) has been given a sweepback. Radar reduction design calls for flattened and angled body sides, retractable landing gear and other features, plus fairings over the rotor hubs. 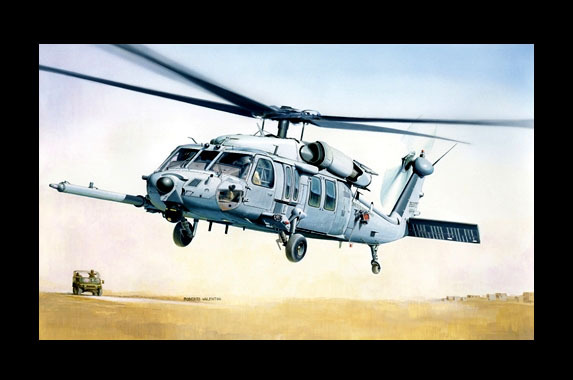 A helicopter cannot be as stealthy as a fixed-wing aircraft, but the measures help to fox enemy radars, made easier because the helo generally flies at low level, among all sorts of other ground ‘clutter’ from trees and buildings to telegraph poles and power pylons. 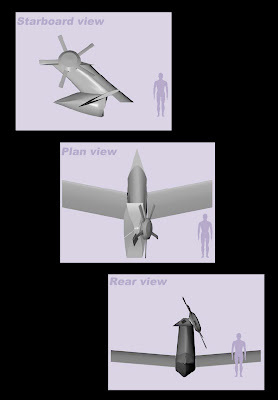 Three views of the tail from Flightglobal's graphic artist. 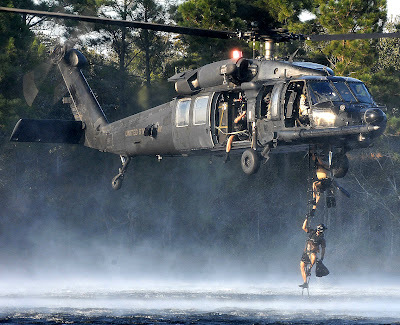 It’s thought that the stealth MH-60K is one of several special-mission modifications developed by the 160th Special Operations Aviation Regiment at Fort Campbell, Kentucky. It’s an outfit renowned for the deadly combo of ace pilot skills, matched by top-flight technical capabilities. The 1:48 scale Italeri kit makes a good starting point. For kitbashers, it’s a question of where to start, and a likely kickoff could be with the Italeri 1:48 scale kit of this particular helicopter. 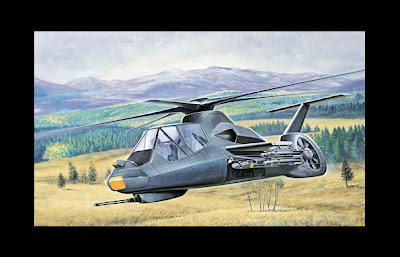 It’s a decent model that includes all the known lumps, bumps, probes, and other additions that make the K-model Blackhawk unique. Italeri’s model assembles to make a good-size helicopter some 320 mm (12.6 in) long. Apart from the hardware changes needed for the stealth version, there is also the question of colour. It appears to be coated in the same silver-black infra-red suppression finish that is applied to the V-22 Osprey - so even though the Abbottabad, Pakistan, mission was a night-op, it’s this silvery shade that is correct, rather than the matt-black that was standard finish for the night bombers and fighters of previous eras. The Comanche was cancelled in 2004, but still looks a futuristic design. Lastly, let’s not forget the original stealth helo, the RAH-66 Comanche, which incorporated most of the features listed above, plus internal weapon bays for missiles and rockets. The project went way over budget and, despite prototypes performing well, was cancelled long before it had a chance to enter series production. But there are plenty of Comanche models on the market, one of which is also an Italeri model, to 1:72 scale, and it’s certainly worth a close look if you are interested in the subject. Visit Flightglobal to see the full animated version here.